Bangladesh is an emerging tiger in South East Asia as it has a skilled labor force and a strong collective desire to eliminate poverty. The country on its entirety is trying to improve its living standard and per capita income. Although significant commercial and business transaction is taking place, the activities which are classified as business crimes are also present. Legal supports are required to deal with local and international trade fraud, fraudulent misrepresentation by employees, fraudulent dishonor of cheque etc. Besides knowingly or unknowingly businessman is often exposed to financial crime for example for TAX evasion, violation of Foreign Exchange Regulation (FOREX), money laundering and terrorist finance etc., which require strong legal assistance. Due to technological advancement, the ability of hackers enters into any device accordingly such crimes involving misappropriation of money, data etc. known as cybercrime is also rapidly increasing and a special tribunal is also formed to deal with the complaining. On the other hand, cases relating to libel and slander under Penal Code are also not very uncommon in the corporate and commercial arena. Rahman‟s Chambers from it is very inception engaged in providing legal assistance to public sector and private enterprises in this area of practice. 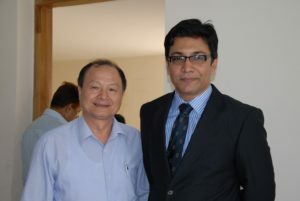 Mr. Rahman with Mr. Liu Shuang Chuan, CEO of How Are You Textiles Ltd in an event organised by Chambers in 2012. 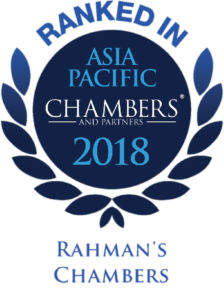 Rahman‟s Chambers is one of the market leaders in analyzing, identifying and prosecuting and defending critical and complex fraud cases with high success record. We have successfully recovered dues originally fraudulently misappropriated within 6 months by prosecuting before the learned magistrate court. 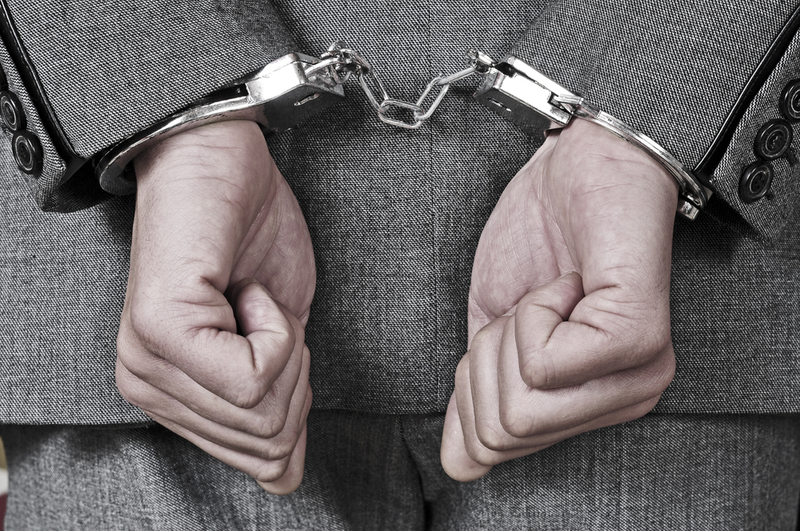 Our experience covers almost all types of white collar crimes. Our lawyers advise concerning insider trading, market abuse, compliance, internal investigations, auditing, disciplinary matters, tax fraud and cybercrime. We assist companies and organizations preventively, before rules may have been breached, but we also offer support in the aftermath, where a breach has been established. We have successfully challenged a proceeding under Foods Safety Act 2013 brought before special magistrate court by filing quashment proceedings before Hon‟ble High Court Division against KB Foods Ltd of Khan Bahadur Group. Successfully recovered payment under LC and sales contract for How Are You Textiles Ltd by bringing criminal proceeding which involves issues like violation of FOREX, UCP600, misappropriation, deception etc. Successfully obtained judgment and order in cheque dishonor cases for a leading Financial Institution in Bangladesh and another leading garment. Successfully advised a Major Foreign Investor from India in the poultry sector over a number of libel issues. Successfully defended a leading Financial Institution in Bangladesh over a libel claim filed in District Court. Successfully able to secure arrest order in criminal cases filed against Ex-employee of Teijin Frontier Company Limited and a Major Foreign Investor from India in poultry sector. Successfully filed a Defamation case against an Ex-employee of a Major German investor in the garments sector. Mr. Rahman, the head of the Chambers was involved in Drafting Money Laundering & Terrorist Finance Act 2005 & vetting Money Laundering Manual of Bangladesh Bank while he was a member of Legal Counsel, CBSP at Bangladesh Bank (Central Bank). Successfully handled money laundering case for the Central Bank. We acted for several companies in defending cheque dishonor cases in Magistrate Court, Session Court and High Court successfully. The Chamber has been dealing with this type of cases since very inception for Companies, Banks and Financial Institutions. Chamber has successfully obtained Judgment in favour of our Client in various occasions. Filing and defending cases filed in Cyber Appellate Tribunal. Produce proof and assisting with electronic evidence. The Chamber is a one of the leading law firm in the area of LC related fraud. The Firm has a vast experience for acting for buyer, seller and LC opening and negotiating Bank with a high success rate. Besides we have developed significant expertise in dealing with employee related fraud and misappropriation. The Chamber has been doing consultancy on money laundering since 2008 for Bangladesh Bank. The Chamber is one of the first law firms who have experience in handling the money laundering cases successfully for central bank. Moreover, Mr. Rahman, the head of the Chambers was involved in Drafting Money Laundering & Terrorist Finance Act 2005 & vetting Money Laundering Manual of Bangladesh Bank. The Chambers gives regular and also defend them in court legal support to its clients who are exposed to financial crime related investigations or against whom legal proceedings are being launched. Uttara Foods and Feeds Limited.